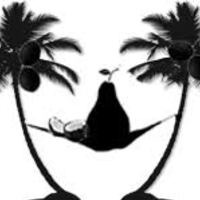 Has 8 recipes, 6 public recipes. Has 183 flavors in inventory. Agathodaemon supports All The Flavors. Upgrade yourself. This is my remix of another famous e-liquid made by Dinner Lady from UK and my contribution to the "Remix Month 2017" by the DIYorDIE community. 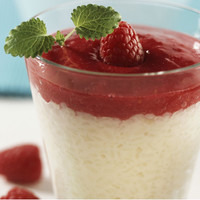 As you would expect, the main profile of this e-juice is a rice pudding-flavor and it is topped with raspberries or a raspberry sauce. If you like the original I suggest you give this a try, since it is pretty close to the original. And even if you are not a big fan of Dinner Lady's version, but are attracted to this profile in general, give this a try and please let me know what you're thinking. Many of my friends prefer my version, saying it is more round and full in taste. In my opinion, I have to work a bit on the "rice-flavor" and maybe try other flavorings; please let me know if you have any suggestions on that. Hope you like it and if you do, I'd be very pleased if you leave a small review ;) Enjoy!! Horchata gives the impression of a rice milk but also leads to some weird off-notes when used to high in this context. I used TFA's Rice Crunchies to add more of a rice flavor to the mix. The combination of these three flavourings gives a nice milky impression of a pudding with some vanilla notes. Fresh cream adds some light "milkyness", while Vanilla Custard adds some more heavy and buttery/eggy cream notes, leading to a thicker pudding-like vape experience. The Bavarian Cream adds more vanilla and is used to blend everything together. Mix @ 70/30 VG/PG. You can shake&vape this, but i suggest to let it sit for at least 2-3 days. The name speaks for itself: This is a simple recipe for an "Apple Strawberry Jam"-vape, inspired by Goldfish's famous "Apple Buttah", a recipe I like very much. I came up with this recipe during the first round of Beginner Blending's Mixxed Competition. In my opinion it was a bit too close to "Apple Buttah" so I decided not to submit it in the comp, but it is definitely very tasty and worth mixing it! Nevertheless it helped me to find the right balance between FA Fuji and TPA Strawberry Ripe for my actual recipe for round one, "Apple Strawberry Roll". Fuji apple is the most authentic fresh apple flavoring I know. 2% turned out to be enough to be recognized without overpowering the strawberry. Again, IMO the most authentic strawberry out there and my favorite strawberry flavoring. 2.5% turned out to be the right amount to blend in with FA Fuji. Both are used to turn the strawberry and the apple to a jam, blend them together and add some sweetness. CDS is used mainly for the small touch of cinnamon. CAP CDS was one of the basket ingredients for the 1st round of Mixxed Competition and works as well, but I prefer TPA's version in this recipe. VC again found its way into one of my recipes. Its purpose is to add the vanilla note to mix and also thickening up the whole vape. Mixed at 70/30 (VG/PG). Steep: can be "shaked&vaped" but best after 2-3 days. 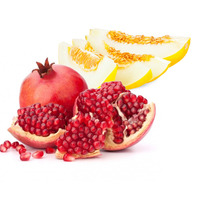 Dewy-Granate is a fresh and IMO realistic tasting mix of honeydew melon and pomegranate. I hope you enjoy it as much as I do! FA's Pomegranate is my favorite pomegranate flavor, because it is so close to the actual fruit. It's both sweet and tart and has a hint of bitterness, like the original fruit. It is not so easy to blend in fruit mixes, because it easily overwhelms a lot of other fruits. But I found it works pretty good in this mix. The combination of these two melon flavors gave the best result for a realistic honeydew melon flavor. INW Melon is a bit strong, so I used it at a low percentage. It has the tendency to be a bit "throaty" in the fresh mix, which goes away after a few days of steep. Notes: mixed at 80/30 (VG/PG). Steep: minimum steep over night, best after 2-4 days. "Donkey Kong's Secret" is a composure of creamy bananas and peanuts with a nutty RY4-tobacco note, steeped in old oak barrels. Enjoy! No doubt: Donkey Kong loves bananas. And what else should a banana-expert use than the best banana flavor out there. Every monkey likes peanuts. TFA Peanut Butter adds a nice peanut taste to the juice that blends good with the banana and the nutty aspect of FA Soho. Adds more creaminess and a tasty vanilla note to the mix. FA Soho is a RY4-like tobacco flavor with a very nutty and woody character. Being a weaker flavor, compared to other FA flavors, I used it around 5-7% depending on how much of a tobacco note I wanted. Red Oak adds a more woody note to the juice, creating the impression that the juice steeped in Donkey Kong's oak barrels. FW Butterscotch Ripple adds a caramel note and turns the FA Soho even more to a RY4-tobacco. Moreover it adds some sweetness to the juice and blends together the whole mix. If you like it a bit darker and more sweet you can substitute FW Butterscotch Ripple for FA Butterscotch @ 0.5%. 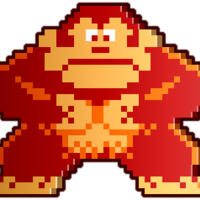 Take a look at Donkey Kong's hostage (I think her name was Pauline) and you'll know: he likes it sweet ;) Add to your liking between 0.2 to 1% TFA sweetner. Mixed at 70/30 (VG/PG). Steep: minimum Steep over night, best after 3-5 days. This is my take on an "Apple Strawberry Roll"- vape. An old recipe created by my grandma. This cake is original made by painting a bright cake batter with strawberry jam, adding fresh shredded apple, some vanilla and a hint of cinnamon, rolling it up and of course baking it ;) So yummy... My take came out pretty close, close enough to bring me back in time to my grandma's kitchen. Enjoy! LA is used to turn the strawberry to a jam-like filling and to blend in with the apple. CDS is used mainly for the small touch of cinnamon and adding an extra note to the bakery element. 0.6% was best for me, adding more than 0.75% resulted in a muting effect on the fruits. VC again found its way into one of my recipes. Its purpose is to add the vanilla note as well as a buttery note to the bakery, and also thickening up the whole vape. To find the right bakery flavoring was the hardest decision for this recipe. I usually use more than one flavoring to create a bakery style of vape. For this recipe I try several bakery-style flavorings (FA Cookie, FA Nonna's Cake, INW Biscuit, CAP Sugar Cookie, TFA/FW Graham Cracker,...) but CAP Cake Batter was the one closest to what I was aiming for. Mixed with around 80% VG and 3mg nicotine. Best after min. 7-10 days steep.